If Kuala Lumpur was the heart of Malaysia, the hustle and bustle of the people, places, culture and of course, food would be the blood coursing through its veins. 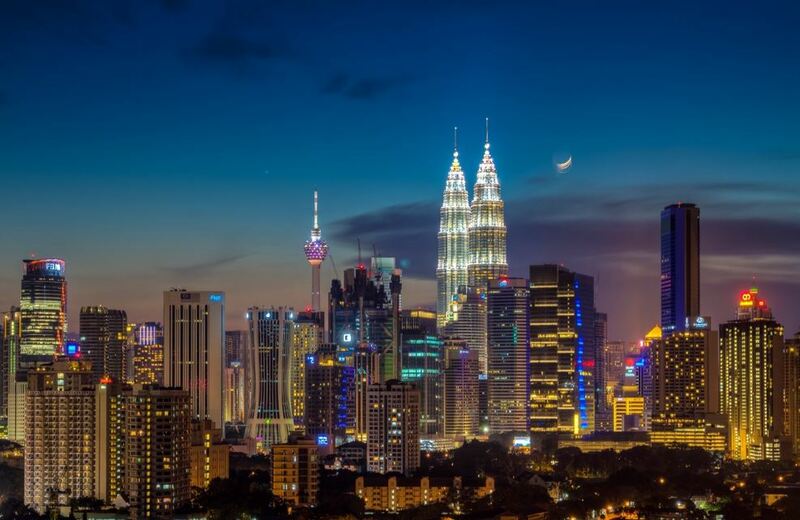 Always alive and pumping, Kuala Lumpur is the capital of Malaysia, with an estimated population of 1.67 million, this multi-racial and multi-cultural city is a melting pot of diverse sights and sounds. To really experience this amazing city, these hot spots are just some of KL’s must-sees and must-dos. It’s no surprise that this architectural masterpiece is on our list! The Petronas Twin Towers, also known as KLCC towers, is an 88-story twin-tower building that stands at a majestic 452 meters and is arguably Malaysia’s most prominent and easily recognizable landmark. KLCC in itself holds many nice attractions and activities including the Aquaria KLCC (an aquarium great for those looking for a piece of the sea on land), KLCC Park (lush greenery that’s great for a picnic day out. Check out Salad Atelier for some healthy, easy packed lunches! ), Petrosains (a science discovery centre that’s great for both kids and adults), Petronas Art Gallery, and The Malaysian Philharmonic Orchestra hall. 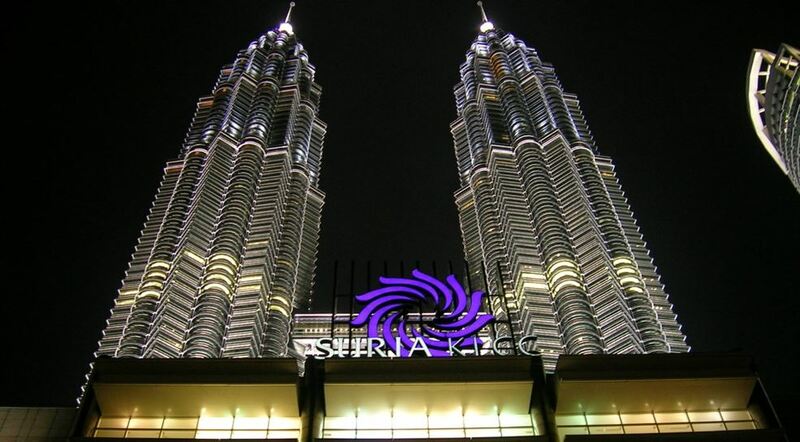 KLCC is also houses brands from across the spectrum, including big, luxurious ones like Louise Vuitton, Prada and Tods, and lower-end ones like Cotton On, Factorie and Uniqlo, so there’s something for the shopaholic in everyone. Make sure you stick around to watch the water fountains during the evenings though! Musical fountain shows to the sounds of orchestrated pieces come on at about 9.30pm to enthral you with beautiful sights, sounds and lightings. 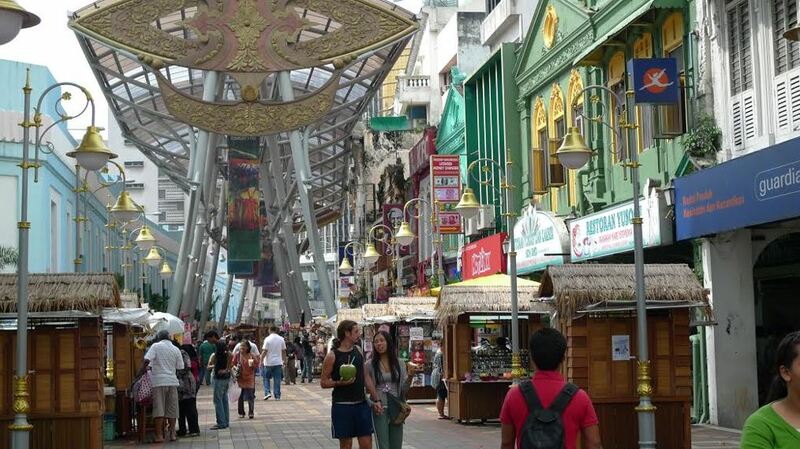 Aptly named the Golden Triangle, Bukit Bintang is a shopping and entertainment hot spot that’s not to be missed. 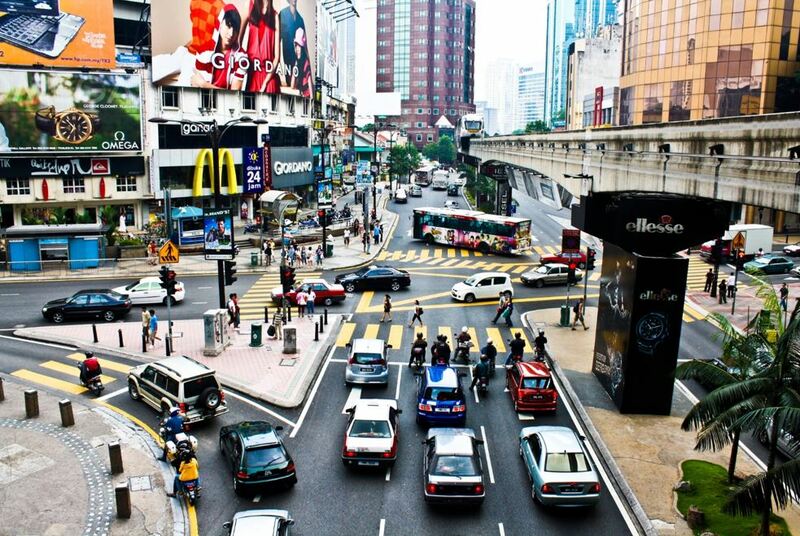 Vastly popular with both locals and tourists, Bukit Bintang is a great combination of historical charms and modern contemporary chic, and is a great slice of the city for first-timers. The shopping scene in this area includes Pavillion and Starhill Gallery (which caters to higher end brands like Rolex, Jimmy Choo and Givenchy), Fahrenheit 88, Low Yat Plaza and Sungai Wang Plaza (that holds both international brands and local ones including Zang Toi, Eclipse and Area 27). You’ll be able to get a wide range of cuisines as well, including Tarbush which serves great Middle Eastern dishes like Baba Ganoush, Falafel and Hummus, as well as Trishna if you have a hankering for some Northern Indian fine dining. Low Yat Plaza also has something a little more traditional if that’s what you’re going for. Ah Yip Herbal Soup serves delicious traditional Chinese food that’s great for even the heartiest of diets. If you’re looking for a good night out, make sure you hit Changkat where an entire street full of bars, clubs and eateries await you! Considered as the “it” place in Kuala Lumpur, Changkat’s fluid, lively night scene is where people come to see and to be seen. With entertainment hubs ranging from stand-up comedy houses to whiskey lounges to gay bars, Changkat offers an array of entertainment for those who are ready for an adventurous night out in Kuala Lumpur. For those looking for a dose of culture and history, the Islamic Arts Museum is located in the heart of the city. 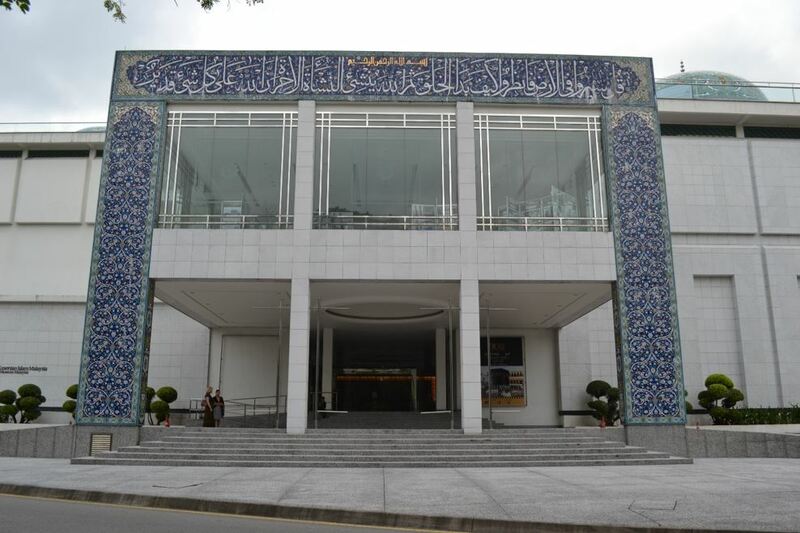 Adorned with beautiful pieces and historical artefacts, this museum exhibits more than seven thousand relics from the Islamic world, and is considered the largest museum of Islamic art in all of South East Asia. Built in 1988, this museum’s building is a work of art in itself, and is situated in lush greenery of Perdana Botanical Gardens. Definitely a sight to see so much green in the midst of the busy city. Be intrigued by 12 different galleries spread over 4 floors, including exhibitions like the Quran and Manuscripts Gallery, Islamic Architecture, Ancient Malay World Gallery and the reconstructed Ottoman Syrian Room which dates back to the 19th Century. Looking for some cheap shopping deals in the city? 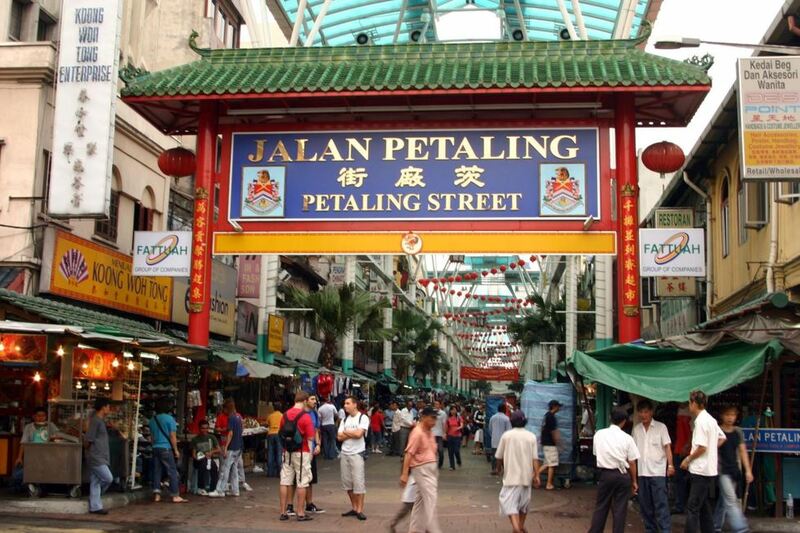 Petaling Street is home to one of the oldest and biggest commercial markets in Kuala Lumpur. Here, you’ll find just about anything from counterfeit branded goods (shh, don’t tell anyone!) to cheap souvenirs to take home. Make sure you brush up your bargaining skills before you go though, you’ll definitely be able to save a couple of bucks that way. Take time to stop and soak in the sights of the buildings around you, savour the historical architecture reflected in shop houses that date back to the mining days before the war. The streets are also filled with lots of stores that serve delicious Chinese food, great to satisfy your post-shopping hunger. Little India has sights, sounds and smells like no other. Be ready to see colourful bangles, beautiful draped fabrics and an array of different Indian delicacies. From savoury dishes like banana leaf rice, to snack foods like vadir, to sweet desserts like gulab jamun, Masjid India is your one-stop-shop for all things Indian. Sip on mango lassi or fresh coconuts as you wander through the market stalls which offer you the prettiest and most lavish looking sarees, taking in the heady scent of cumin and coriander seeds mixed with lovely fresh jasmine as you walk past the stalls. Masjid India offers a little slice of all things traditionally Indian in the midst of a metropolitan city like Kuala Lumpur. Kuala Lumpur is an amazing city with so many things to do and so many places to see. Immerse yourself in the culture and take in the sights of the lights, buildings and people, and you’ll truly understand why the capital of Malaysia has so much to offer. Sydney is a thoroughbred foodie, who loves researching recipes and experimenting with flavours. In her free time, she is either writing about food or beauty or she’s out seeing the world!